Doktor Sleepless . No's 2 & 3 .Avatar Comics. 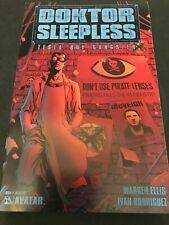 DOKTOR SLEEPLESS #1 (2007) - WRAPAROUND - NM Comic!